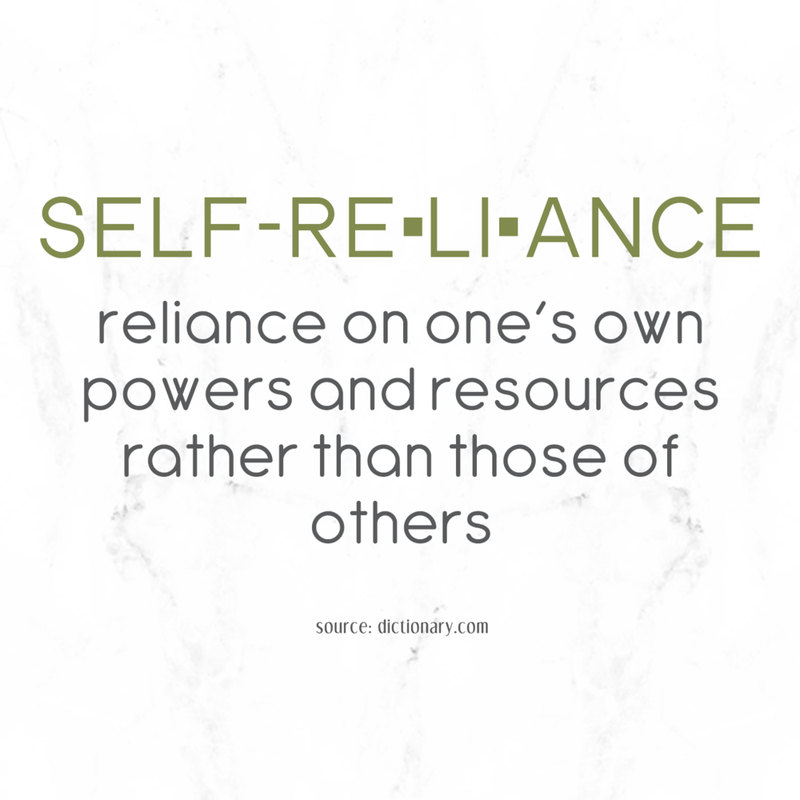 August 21, 2015 Emily V.
If you've been roaming around this blog you've seen the term 'self-reliance' used in many places. It's used all over SMT and I don't have any plans to stop. So because of that, I thought it needed its own post so you would understand what it means to me when I use it. Pretty self-explanatory, right?! This can be applied to any aspect of life. However, for me, this is tied to the subject of preparedness. Being prepared for situations that range from getting stuck on the Metro to the freaking Apocalypse. Okay maybe not that extreme but you get my drift. I want to be able to rely on my own efforts and abilities when the time comes. Can I defend myself, do I have the knowledge to make smart decisions in a stressful situation, what tools are available to me, and do I know how to use these tools? It all sort of goes back to the husband owning a gun and how I’m not comfortable using it. Let’s say we were victims of a home invasion (this is the kind of sh*t I think about) & if I needed to defend myself with his gun I’m not so sure I would be able to. And while I’m nowhere close to being an extreme survivalist or prepper, I do want to be informed and have as much knowledge as possible. So for me it all boils down to being able to take care of myself in any situation. So when you see me using this term, you'll have an understanding of where I'm coming from. And hopefully you'll find the information here useful for helping you to also become self-reliant.